The International Raiffeisen Union (IRU) is a worldwide voluntary association of national co-operative organizations which work and ideas are based on Friedrich Wilhelm Raiffeisen’s principles – i.e. self-help, self-responsibility and self-administration. 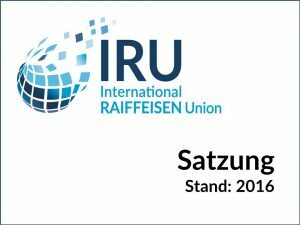 IRU was founded in 1968 as registered association in Neuwied/Rhine on the occasion of the 150th anniversary of Friedrich Wilhelm Raiffeisen’s birth and has today 52 members in 33 countries. The diffusion of Raiffeisen’s idea is worldwide. More than 900,000 co-operatives with approx. 800 million members in over 100 countries are working according to Friedrich Wilhelm Raiffeisen’s principles. IRU has the purpose of cultivating Raiffeisen’s ideas, propagating them openly and before all bringing about the exchange of experiences between member organizations. IRU does not carry out any commercial activity nor does it serve any politico-economic interest or competes with other existing international organizations. The basic task of IRU is to translate Friedrich Wilhelm Raiffeisen’s ideas in the current time, put them into practice and propagate them with modern means. Therefore IRU sees its priority task in the promotion of the exchange of experiences between its member organizations. Co-operative organizations from developing countries, newly industrialized countries and industrialized countries are represented within the IRU. They made the most various experiences while establishing their co-operatives. Therefore, these experiences and this knowledge have to be passed on to others or at least the possibility should be given to go back to these experiences. IRU wants, on the basis of the existing experiences, help to avoid wrong developments in the co-operative organizations. 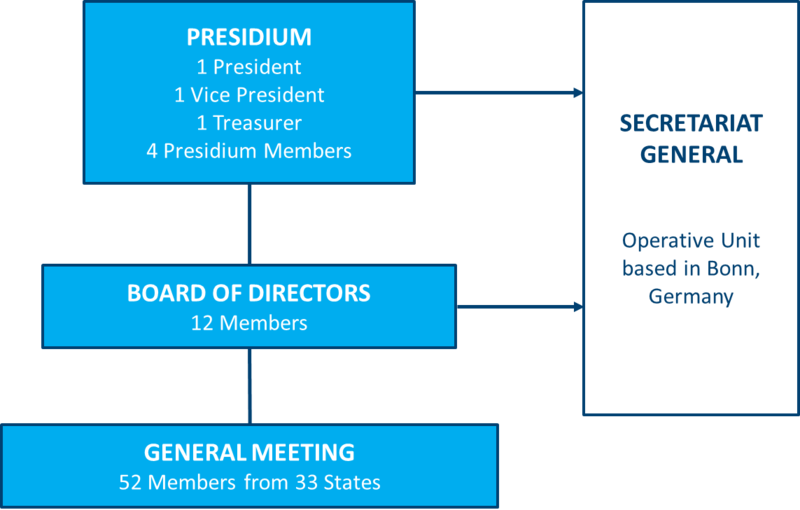 This is why strong emphasis is laid on the promotion of exchange of experiences between the members. IRU also stands for the improvement of the co-operative regulatory framework world-wide. It supports the establishment of non instrumentalized, free enterprise-oriented co-operatives with members’ promotion and therewith orientation on members. IRU is also the platform on which the member organizations exchange the results of the analysis of co-operative basic issues.